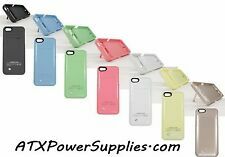 5200mAh Rechargeable Charger Case Portable Charging Case for iPhone X /10 5.8"
Unused New condition and in box. New 4000mAh TQTHL High Quality External Battery Case / Backup Power Bank. 4000mAh External Battery Case / Backup Power Bank New 4000mAh High Quality External Battery Case x 1pcs. ( as Shown ). Compatible with: iPhone 5 / 5S / SE. They work very hard to get quality products to you quickly. You will receive the following: (if its not listed here its not included!). Helpful Links. Barley used charging case in great condition. 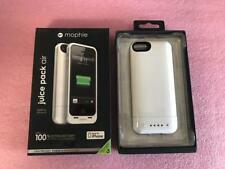 Mophie Juice Pack Air Iphone 5/5s/se. 100percent Charge Ability Phone Case. Shipped with USPS First Class Package. 1 x Battery Case. In The Box. 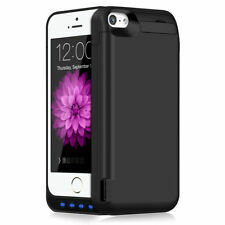 New 4800mAh TQTHL High Quality External Battery Case / Backup Power Bank. 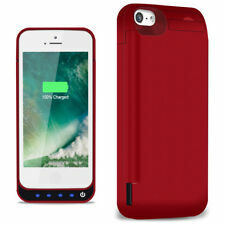 4800mAh External Battery Case / Backup Power Bank Battery Case Capacity : 4800mAh. 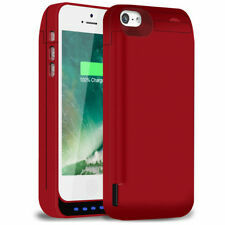 New 4800mAh High Quality External Battery Case x 1pcs. This is a brand new Battery case never used. 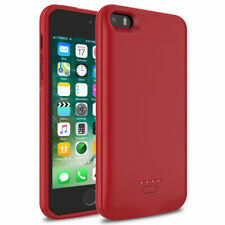 The case has a Lightning Connector to fit the I Phone 5/5S. The case comes with 2 color shells. You can use either the Blue or the Black. When you get tired of one, you can switch to the other.The battery in the case is a 2,500 mAH battery. They are sharp looking cases. I have never tested these cases but the package says I phone 5 and also I Phone 5S compatible. Try it out, you won't be disappointed! Compatible with:Iphone 5 / 5S / SE. In order to facilitate transportation, we will not send out the paper box outside.we will send the first photo box show and parts.